Anthony Joseph was born in Trinidad. A poet, novelist, musician and academic, he is the author of four poetry collections and two novels. His first novel, The African Origins of UFOs was published by Salt in 2006. As a musician he has released six critically acclaimed albums. His seventh, People of the Sun, a project recorded in Trinidad, London and France was released in summer 2018, alongside his second novel, Kitch, a fictional biography of calypso icon Lord Kitchener. Future publications include an epic, experimental novel, The Frequency of Magic, due in 2019 and a new poetry collection. He holds a PhD in Creative and Life Writing, and lectures in Literature, Critical Theory and Creative Writing at Birkbeck College, London, and at the University of Liverpool where he is the Colm Toibin Fellow in Creative Writing. As a musician he has released four critically acclaimed albums. His debut album Leggo de Lion (2007) featured lyrics taken from his novel The African Origins of UFOs. Bird Head Son followed in 2009, coinciding with the publication of his 3rd poetry collection. Rubber Orchestras was released in 2011, alongside a new collection of poems of the same title. A live album Live in Bremen appeared in 2013, and Time, produced by Meshell Ndegeocello, in 2014. 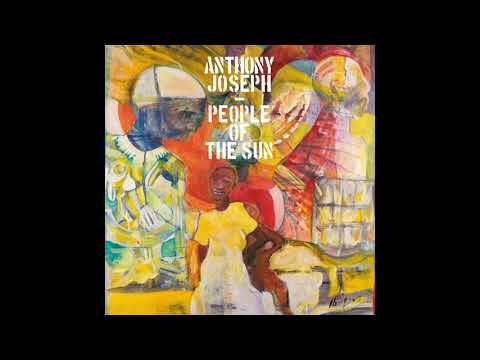 His 6th album, Caribbean Roots, was released in June 2016 on Strut/Heavenly Sweetness.Anthony Joseph is a poet, novelist, musician and lecturer described as ‘the leader of the black avant-garde in Britain’. His written work and performance occupies a space between surrealism, Jazz and the rhythms of Caribbean speech and music. He is the author of four poetry collections and a novel The African Origins of UFOs. In 2005 he was selected by the Arts Council of England and Renaissance One as one of 50 Black and Asian writers who have made major contributions to contemporary British literature. He has received an Arts Council of England touring award, and an AHRC postgraduate scholarship to complete his doctoral thesis; a ‘fictional biography’ of the legendary Trinidadian calypsonian Lord Kitchener. In January 2015 he presented Kitch a BBC4 documentary based on his research.